If you’ve ever lost an argument with a meter maid or gotten a ticket 30 seconds after the timer expired, direct your anger toward Carl C. Magee. As a member of the Oklahoma City Chamber of Commerce traffic committee in the 1930s, the newspaper editor was asked for ideas on improving the parking problems downtown. With the ever-increasing popularity of the automobile, downtown business owners were finding that employees took up all of the parking spots, not leaving any for paying customers. Because they couldn’t find places to leave their cars, customers would move on to establishments with better parking lots. After much pondering, Magee came up with a brilliant idea that would anger drivers for decades to come: Charge people to park. A device with a coin-operated timer, he reasoned, could be a win-win for the city. Either folks would ante up and pay more to stay parked, putting more money in the city’s coffers, or they would move on and make room for paying customers. Of course, there was also option three. Stay put, refuse to pay, and be fined— another moneymaker for the town. Much to the chagrin of local motorists, Magee’s brilliant idea was approved. It debuted on the streets of Oklahoma City on July 16, 1935, with a fee of five cents an hour. Some believed that asking people to pay for space in a public area was unfair, and even un-American, but the result was too good to argue with. After the success in Oklahoma City, it didn’t take long for parking meters to catch on nationwide. 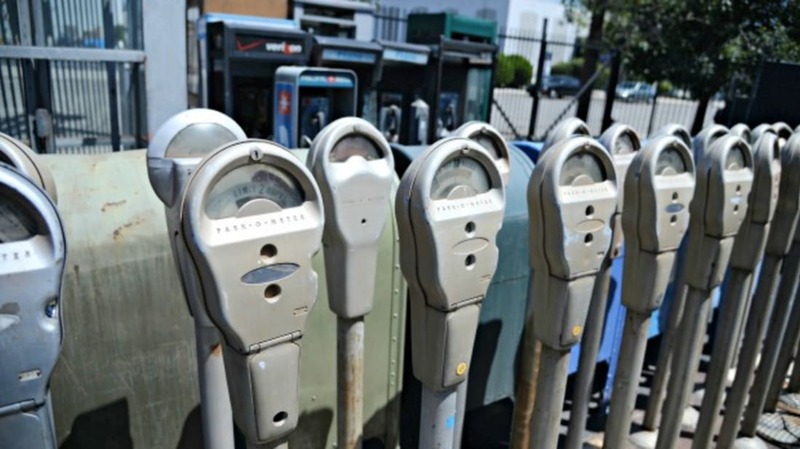 By the early 1940s, there were more than 140,000 parking meters across the United States. And Magee probably never worried about having enough change for his meters: After he was granted the patent in 1938, he started charging cities $25 per meter—$365 each in today’s money.